~Happy voting week! I hope everyone is having a great start to their day I, hope everyone got up and voted yesterday because it is important to have our voices heard! FIGHT FOR WHAT YOU BELIEVE IN!!! WE ARE THE FUTURE!! Lately, a few people have asked me how do I balance out my social life and stay focus while I’m in college. To be honest, I just go with the flow sometimes! There is so much pressure! Being in college, whether it is your first year or you are returning back can be stressful. For me, this is my senior year and I can tell you all this has not been an easy four-year journey! Trying to balance life and my studies have been a hassle. I try to have a routine and get things done but truth be told I’m human and sometimes things just don’t go as planned. With the pressure of completing coursework while trying to enjoy the college experience can be quite overwhelming. Most of the time I have no social life because I’m always studying. I know many students battle between working, schoolwork, and maintaining a social life can honestly be stressful. But I’m here to tell you all that it is okay to take breaks sometimes. Most of the time we need naps to get through that paper that is due. Sometimes we need to get a little fresh air on the weekends. But in order to be successful at what we do, we have to set a routine and stay focused. I personally have some steps that I tend to follow even though sometimes I fall off balance. Keeping a routine is important, sometimes I get so busy I forget that I have a social life and friends that need my support. 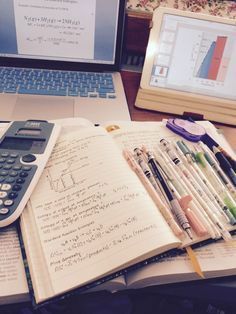 I have a couple of short routines I will share with you all, this is how I survive the college life! ~Organizing will save your life in college it saved mines! 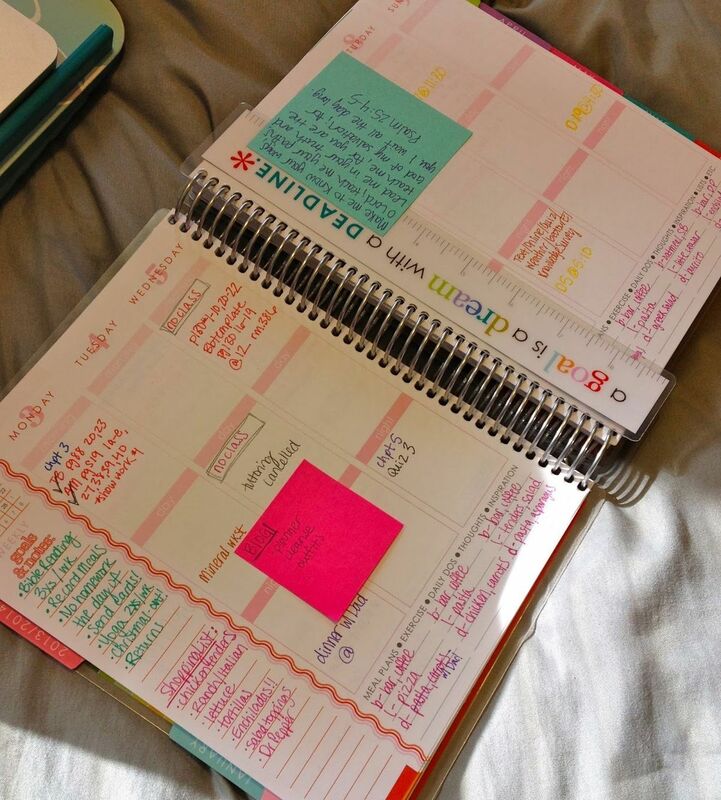 Adjusting to college and college life is already hard enough, organizing helps makes things simple. Learning how to organize properly will literally save your life. Of course, organizing is important no matter what you are doing. There are so many tools out there that can help you stay organized. I personally use a planner. I find a planner well planned out and all I have to do is fill in the blanks and jot down notes that I need to remember. Most students take advantage of using Google Calendar which is also great and always reliable when you need it to send you reminders. Last but not least I know it’s a bit old school but… Having a folder for every class saves so much time. Keeping syllabus, homework, papers, and quizzes or anything related to that class in a folder is very helpful. If you ever need anything pertaining to that subject, you already know exactly where to look and you won’t find yourself wasting valuable time. Set Goals; Before I begin any type of task I always set a goal. Setting goals allow me to accomplish what I need. Usually, I set short-term goals for the week, like getting my papers done and when to blog. I also set long-term goals like finishing college and building a blog to help inspire other women. ~ Don’t procrastinate; seriously guys I think I’m the biggest procrastinator ever! Don’t be like me… By procrastinating we let our to-do list grow more and more. Once all our work is piled up, it is ten times harder to motivate ourselves to get started. Trust me on this one get everything done ahead of time! ~ Make time for yourself; as I mentioned above we all need fresh air. Whether this means spending time with friends or family or just relaxing by ourselves, it is important to take a moment to relax for our well being. I try to do this once a week or during the weekends because the amount of stress during the week can be exhausting. Remember in order to proceed in anything we do we have to be healthy physically and mentally. And last but not least, never give up on your dreams, no matter how long it takes you to achieve those dreams keep pushing, even when times get hard you have to keep pushing! Let me know how you all balance your social life with school or work! Greetings, I sent you an e-mail today and hope that it got to you just fine! If not, please let me know or write me directly to emily@blogerize.com ! thanks!